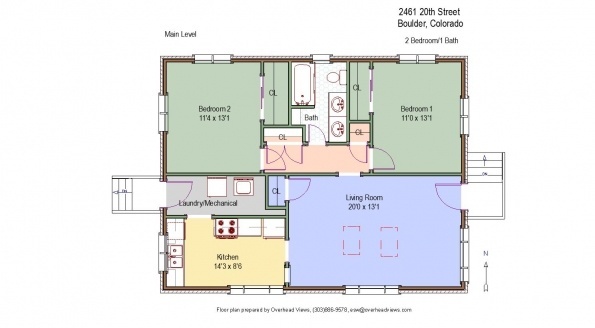 Awesome Brick Duplex in the heart of North Boulder: MUST SEE!! This upper level two bedroom, one bath is bright and sunny!!! Unbelievable North Boulder location. Two units share this property, off street parking, and small backyard area.